Are You Interested in Becoming a Medi-Share Grassroots Ambassador? Have you ever wondered how legislation gets passed? Who is behind that process, and how do you get involved in advocating for issues you believe in? If this is you, joining Medi-Share’s Healthshare Ambassador advocacy initiative might be a great opportunity. The government affairs team at Medi-Share is always looking for members to share their stories with elected officials who don’t necessarily understand the benefits we rely on by being part of a healthcare sharing ministry. Medi-Share offers a great faith-based healthcare solution. 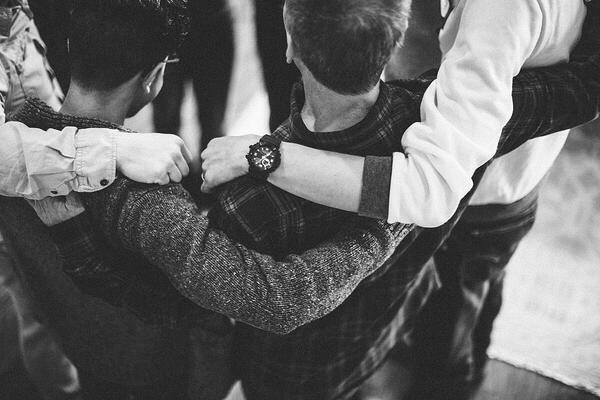 We provide prayer, community, and the sharing of medical burdens. The Christian way of life is not always understood. As believers, we must go out and be bold in our beliefs, sharing with others the reasons why we practice our faith in all aspects of our lives, including our healthcare. We recently activated Medi-Share Healthshare Ambassadors in Vermont. Here are some of the comments they shared with legislators. “My family has been using Medi-Share for two years and can't even begin to express the positive difference it has made in our lives and the lives of others. The cost is affordable and the personal nature of the program allows for a genuine, caring expression by members. When we had [a major insurance carrier] it was akin to throwing your money into a huge dark hole, with no personal connection/relation to your health. I would never have conceived of having the notion of giving more to that insurance business than the designated payment. With Medi-Share, we and many other members willingly and cheerfully donate extra money to "Extra Blessings" to further assist members, we send personal notes and thank you's. This is a true ministry that positively impacts many lives. As my state representative, I'm asking you to represent me and my family along with many others, in working to include the religious exemption for healthcare sharing ministries in H.524. A simple prayer can make a huge difference when we are advocating on behalf of the Medi-Share community to the hearts and minds of elected men and women. There are times during the year when your state legislature is in session and bills are introduced that might have a negative or positive impact on healthcare sharing. We may ask you to write a letter to your elected official in support or opposition of a particular piece of legislation. On extremely important pieces of legislation, we may ask you to make a phone call to your elected official’s office, explaining the reason why you support or oppose a particular piece of legislation. Meeting with elected officials can be a perfect opportunity to share your thoughts on a particular issue. If you’re interested in advocating for Medi-Share, be sure to sign up by clicking on the link below. Medi-Share Healthshare Ambassadors play an important role in protecting our healthcare sharing community. Your stories, beliefs, and prayers make a difference. Healthcare sharing ministries allow people to put their faith into action by participating in the act of sharing each other’s healthcare expenses. At times, as a community, we must educate our elected officials as to why we put our money, and our votes, where our faith is.